Reviews of books and magazines about tropical freshwater fish, bettas, goldfish and koi, saltwater aquaria and more! A review of a great fish lovers' magazine. A great must-have book on Betta fish care! Enjoy reading a good book on Betta fish care! A great basic fish care book with a lot of good advice written in a friendly tone with easy to understand explanations on many important and useful points of this topic. 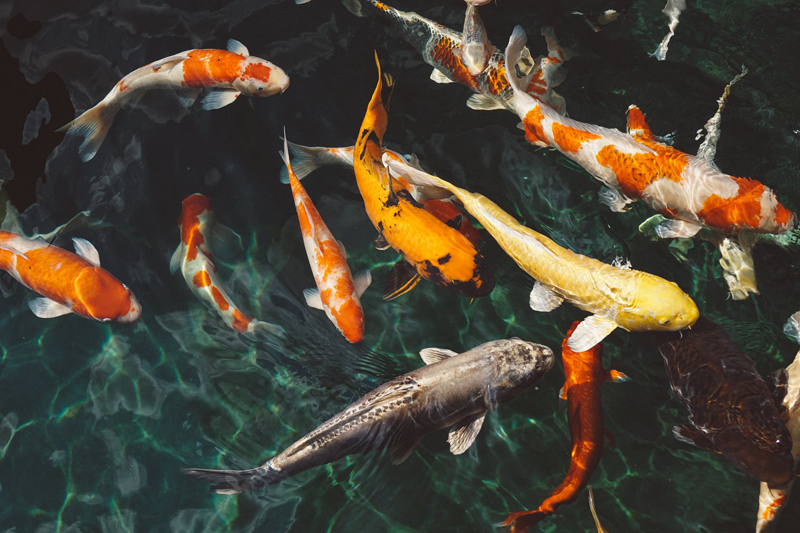 A great book on Koi fish care and pond care for beginners on up and for all ages! A safecracker tries to go straight, but the mob has other ideas. The mob boss has a great fish tank - for that era. A goldfish features as part of the plot in another funny episode of "Monk". Movie review of a classic fish tale - just in time for Halloween! With so many questions about Betta Fish; here are a few recommended books on the topic. Armed with a little knowledge, your hobby will be more enjoyable! Sign on for free weekly updates of each new article about fish keeping and aquariums! Subscribe to the Fish Newsletter at Bella! It´s easy and free to sign on for updates of each new article about fish keeping and aquariums! The Complete Aquarium Problem Solver! Helpful book - the title says it! It's a trouble-shooting guide for freshwater and marine aquariums. This is a great book for beginners and intermediate Betta parents! It is from the series “An Owner’s Guide to a Happy Healthy Pet”. It gives a good overview.